Yesterday Adelaide distillery, Red Hen Gin wowed the judges at The Australian Distilled Spirits Awards (ADSA) and took home the award for “Champion Small Batch Gin“. A pretty sweet win for the guys considering Red Hen is still in it’s infancy, operating commercially now for less than a year. Entries for Best Small Batch Gin are blind tasted and judged on their own merit (how do I get this this job? ), not in comparison to other gins. Tastings are scored using an internationally recognised 100 point scoring system based on palate, balance, colour/appearance, nose and finish. Winners are then broken down further into gold, bronze and silver medalists. Those lucky enough to make it through with gold then enter another nail-biting round to uncover the one true champion. 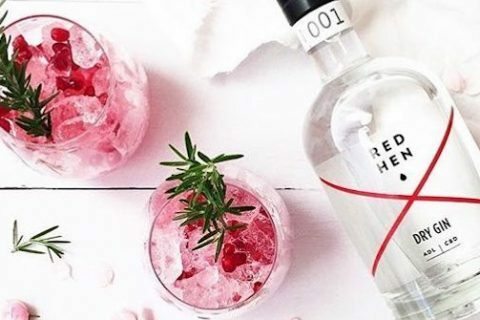 You might remember Red Hen Gin made waves last year when they opened their distillery in Adelaide’s CBD – the first of its kind around town. But for Luke Page and the Vallelonga brothers – Michael, Danieland Anthony – it was something like an expensive hobby with only dreams of Red Hen becoming what it is today. The guys manufacture and bottle the gin all on the same premises which keep the small-batch craft spirit completely local and personal. They use a vapour-infused London Dry style method to create a uniquely refined and delicate flavour that’s insanely good.